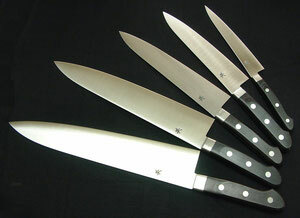 Western-style double-bevel edged knives have become much more popular in Japan, the best example being that of the Gyutou, the French Chef Knife. While these knives are usually honed and sharpened on both sides, their blades are still given Japanese-style acute-angle cutting edges with a very hard temper to increase cutting ability. 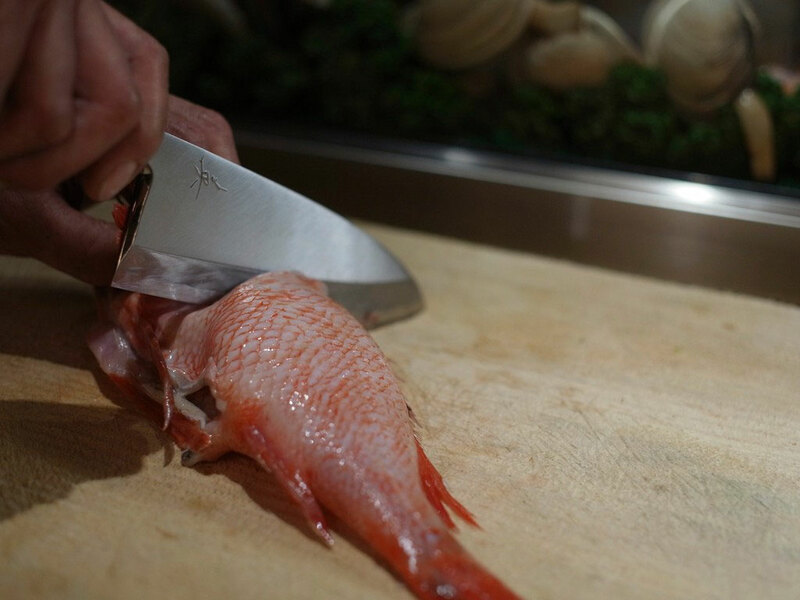 Yanagi ba and fugu hiki(literally, pufferfish-puller) are long thin knives, belonging to the group of Sashimi bōchō to prepare sliced sashimi. The reason why Yangi is longer than other type od knives is cutting fish with only one stroke which gives it smooth cross section surface and does not brake cells. 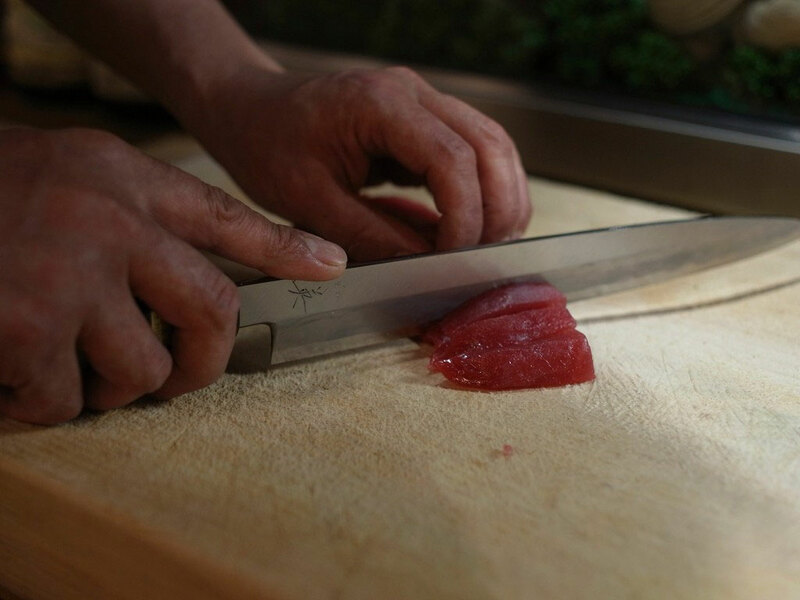 Deba bocho (literally: pointed carving knife) are Japanese-style Kitchen carvers used to cut mostly fish. There are some types of Deba depending on sizes and width such as Ai-Deba, Aji-Kiri, Sake-Kiri, and so on. It is designed to cut off heads and fillet fish. Its weight, thickness and often a more obtuse angle on the back of the heel allow it to cut off the heads and bones of fish without damaging the body. 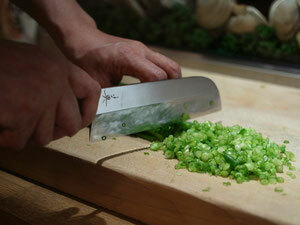 Usuba (literally: thin knife) are the traditional vegetable knife for the professional Japanese chef. Like other Japanese professional knives, Usuba are chisel-ground, have a bevel on the front side, and have a hollow ground urasuki on the back side. Usuba characteristically have a flat edge, with little or no curve, and are tall, to allow knuckle clearance when chopping on a cutting board. Sujibiki is mainly used to cut raw fish too. The biggest differences between our Yanagi and Sujibiki is the type of steel. 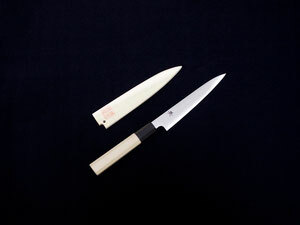 Sujibiki consists of Swedish Stainless Steel, on the other hand Yanagi consists of high carbon steel. Also Sujibiki is double edged knife. 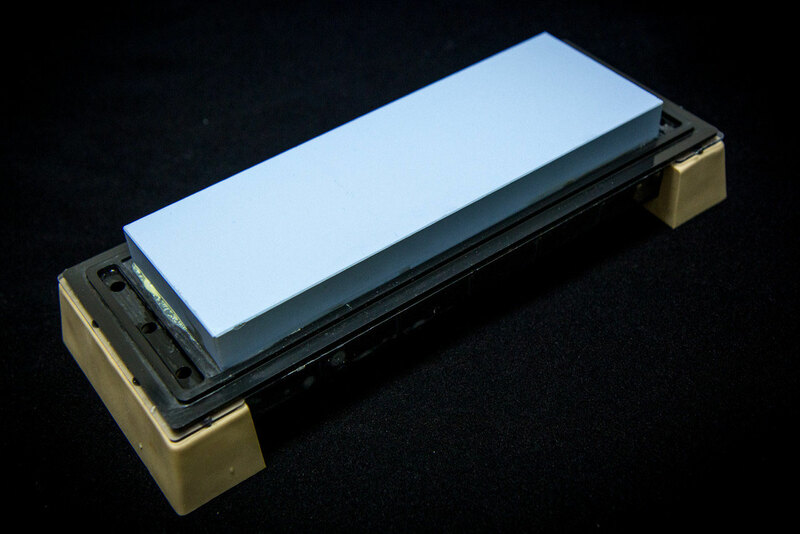 The benefit of using our Sujibiki is its weight and easiness of maintenance. Because of its lightness, you will never get muscle pain even if you keep using this Sujibiki hours! 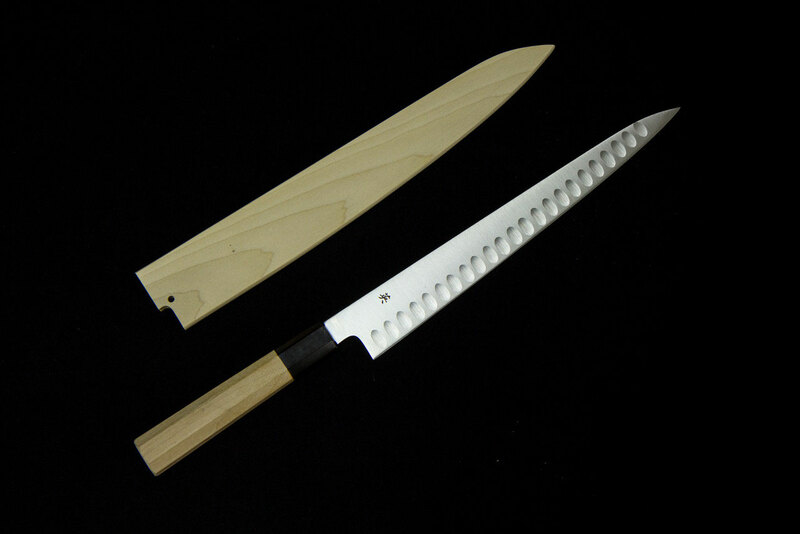 Kiritsuke Yanagi is also used to cut raw fish to make Sashimi. 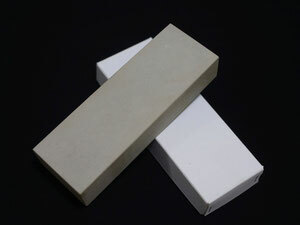 The difference between "Kiritsuke Yangi" and "Kiritsuke" is mainly the thickness. 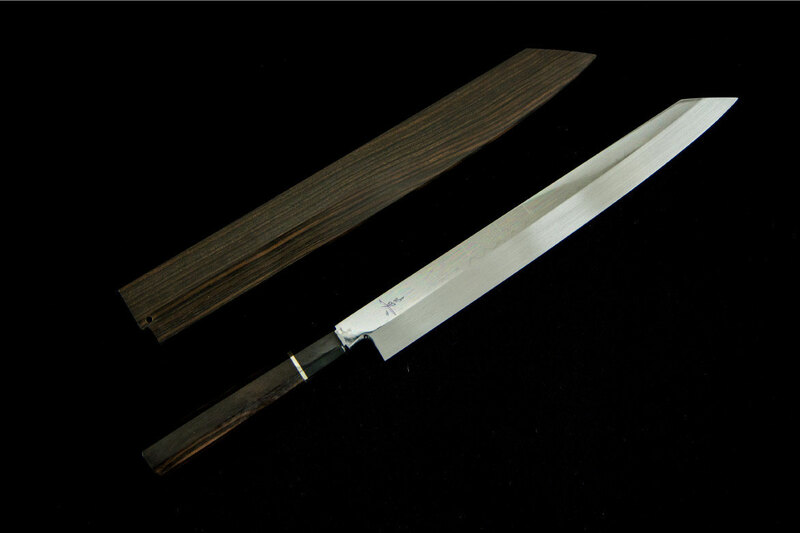 "KiritsukeYanagi" is the same thickness as "Yanagi" but the thickness of "Kiritsuke" is just like Usuba. 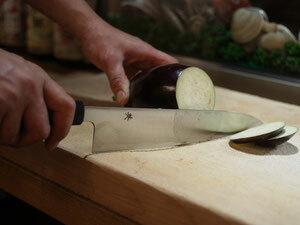 Therefore "Kiritsuke" is sometimes used to cut vegetable especially in Eastern region. Takohiki is also used to cut raw fish just like Yanagi and the other types above. 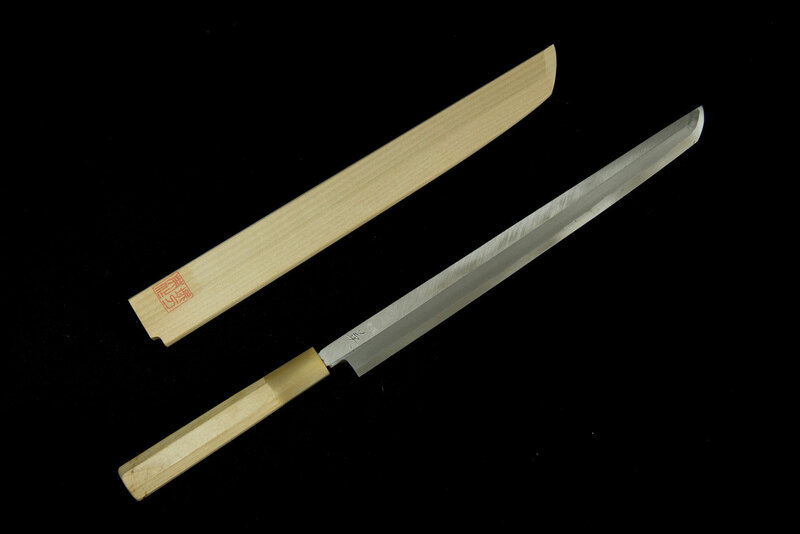 Takohiki is used to use in Eastern region and this "Sakimaru" means that the top edge is shaped little rounded which looks like a samurai sword. On the other hand, regualar Takohiki knife has the edge of square shape and usage is the same as Sakimaru one. Also, the edge of Takohiki is straight but Yanagi is slightly curved. High grade Sweden Steel from SAKAI JAPAN with hand made handle. Naturally produced fine sand are hardened by a manufacturer in Sakai OSAKA. Our Meisters ask the manufacturer to make specialized stone only for HIDE knives. SUEHIRO CR-3800 is combined together two types of stone, #3000 & #1000. Use #1000 for regular sharpening and just flip the stone, and you can use #3000 for fine sharpening.